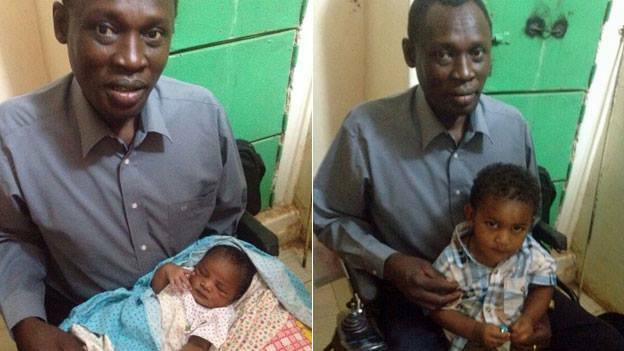 Meriam has given birth to a girl in the hospital wing of the Khartoum women’s prison. Her husband, Daniel Wani, and her lawyer, hope to meet with her in prison. An Islamic Sharia Judge has said that Meriam can be spared the gallows if she renounces her Christian faith. She has said, “I refuse to change. I am not giving up Christianity just so that I can live. I know that I could stay alive by becoming a Muslim and I would be able to look after our family, but I need to be true to myself.” Christians in majority Muslim countries are made of titanium (so to speak). They need to be. Amnesty International launched a petition last week in Meriam’s behalf. It has already been signed by more than 660,000 supporters. Unintended Islamist irony alert: now Meriam has two years to nurse and wean her child before she is whipped 100 times and then hung. Pray. Tags: Meriam, perverse, unintended irony | Permalink.